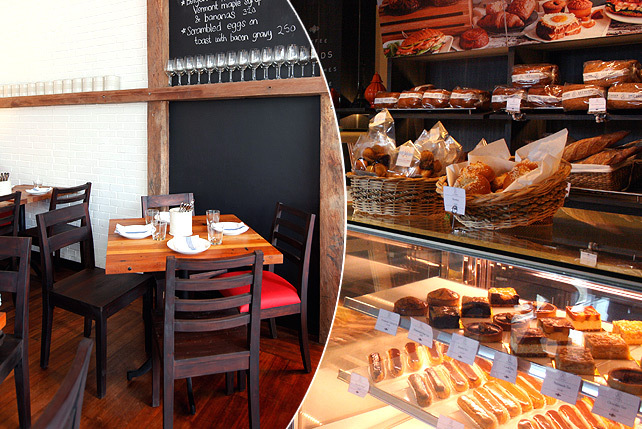 It's their sit-down café with a delicious savory menu. 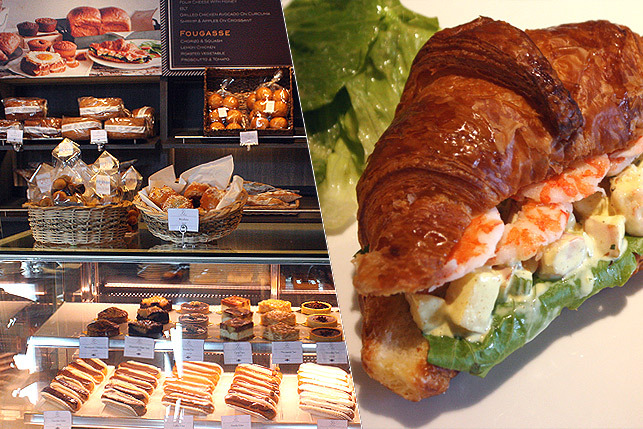 (SPOT.ph) All forms of decorum go out the window when confronted with a panel of viennoiserie. 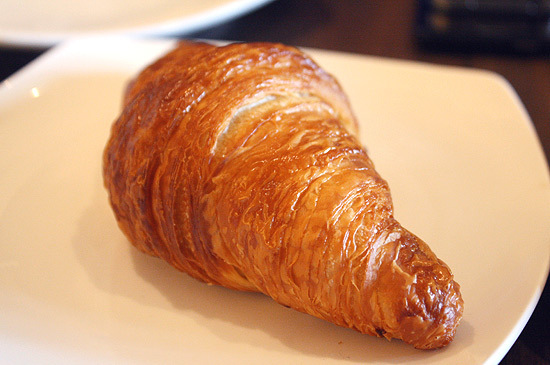 You just want to slam your face and hands longingly against the clear barrier, wondering how something so fragile could keep you from the call of pastry. But amid the quiet, tea-drinking, sandwich-nibbling mother set that frequent the place in the early afternoon, you settle for tapping your fingers against the glass, pondering the merits of the chocolate-stained eclair versus the chocolate financier, the messy flakes of the butter croissant versus the spongy crunch of the Almond. 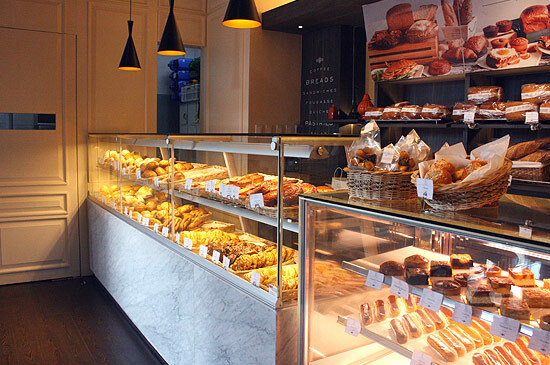 You could buy then leave, of course, because sometimes you're going to want to relish your Mi Cuit alone, but the new Eric Kayser at Promenade Mall, understands that the best way to enjoy a good piece of bread is to sit down with an equally exciting cup of coffee. 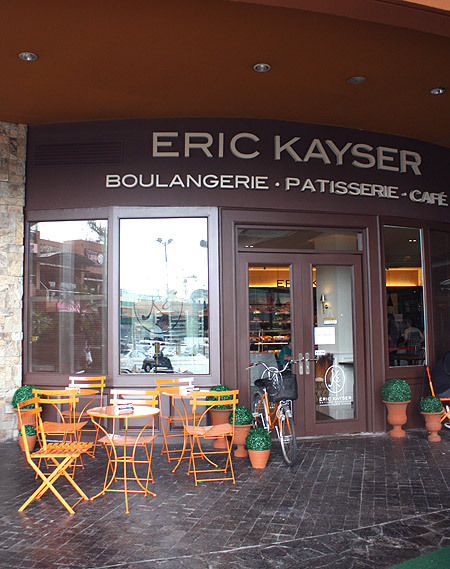 This Eric Kayser branch took its time, but pastries are best when you give them that period they need to really develop. 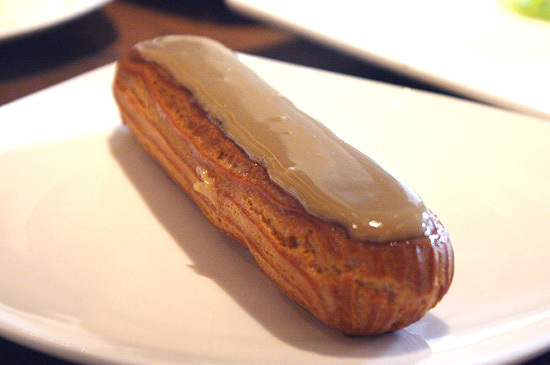 Eric Kayser, the man behind the brand, understands this meticulousness. Together with Patrick Castagna, he invented a liquid yeast processor, the Fermentolevain, which makes and conserves liquid leaven for baking. Since that's the case, we accept the delay. 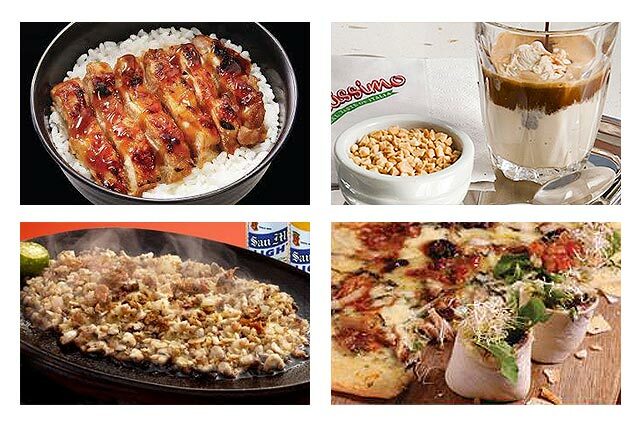 Savory ingredients emphasize the wonders of their popular bread. Modest butter and jam (P120) match up the simplicity of a toasted baguette while smoothening its coarse surface. 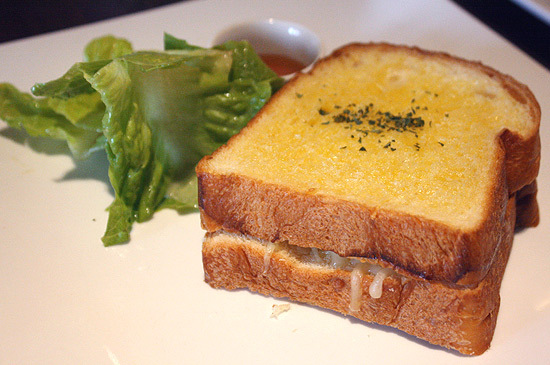 Gruyere, Mozzarella, Cheddar, and Fontina fill the folds of a sliced loaf in the Four Cheese (P225); honey showers it with sweetness that you can only find in delicious comfort food. In true culinary justice, it's only right to pair it with its fateful partner, Tomato Soup (P250), chunky, rich, tangy, with a heaps of delicious bacon in proportions just enough to enjoy each other. 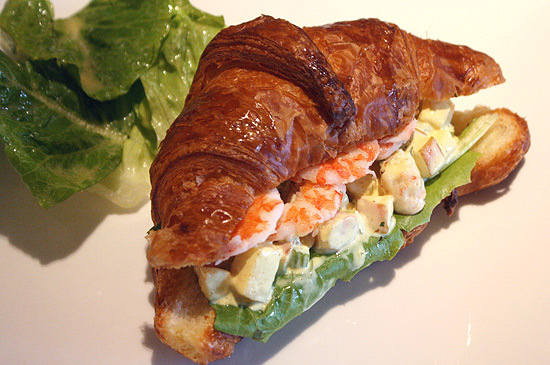 Shrimps and apples play well together in the eponymous croissant (P260). Cold shrimp feels refreshing against apples lightly coated in lime dressing. 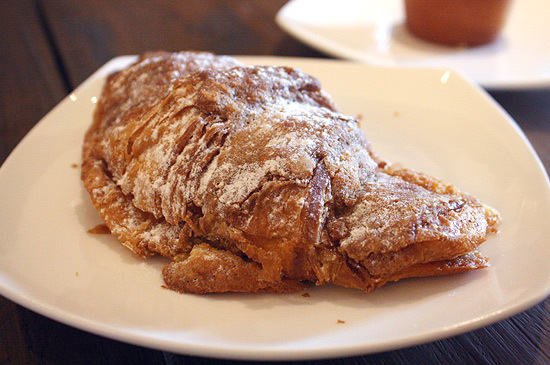 It's delightful alongside a cup of the locally roasted Cappuccino (P130). 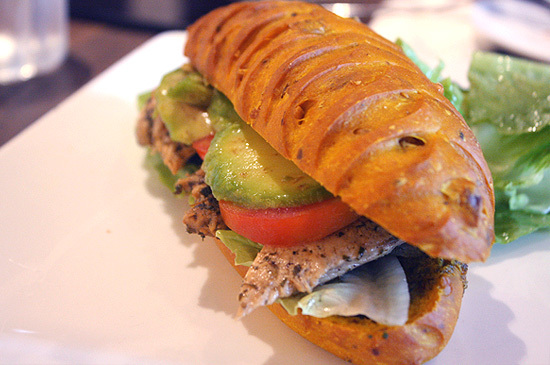 As far as sammies go, the curcuma sandwich (P245) requires a deeper sense of adventure. Turmeric in the bread injects pep into the visible slices of creamy avocado and herb-seasoned cuts of chicken, with a sprinkling of walnuts to surprise the palate every so often. There are times during a meal at Eric Kayser when suddenly all you want is to drop that now-prerequisite hovering phone camera and just dive in and eat. 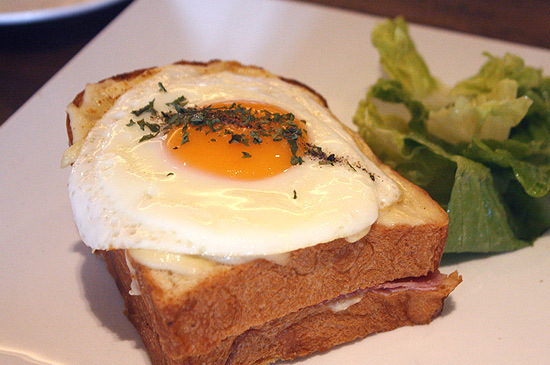 The Croque Madame (P255), is one such example, a simple yet picture-perfect moment that has to be lived: a terrific ham sandwich (that salty savory ham!) with a crowning glory of a runny fried egg that will always look better in person than behind the screen. 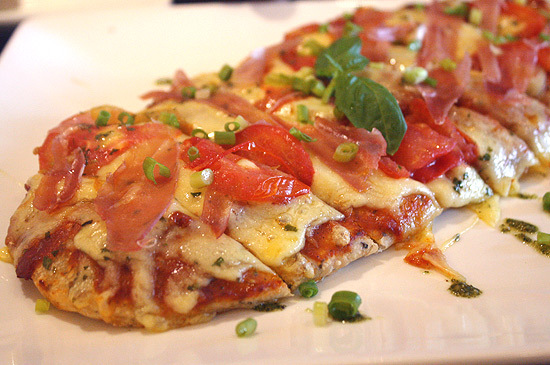 As for the fougasse, French-style flatbreads, it's the Prosciutto and Tomato (P260) on a canvas of focaccia-like crust that takes the proverbial cake-or pie. 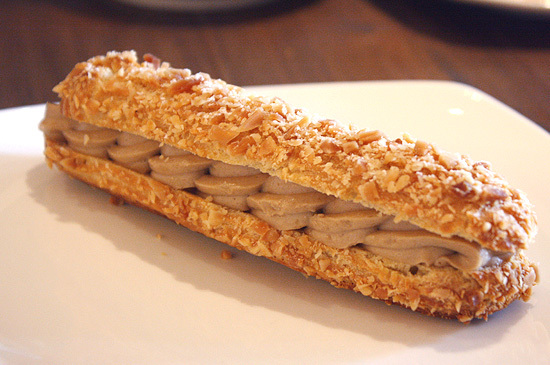 The cafe menu is neither large nor far-fetched, and there are days when you will still come back only for those darn eclairs (Salted Caramel, please! ), but it’s definitely a welcome adjustment to be able to sit down, and take the time to appreciate the scrupulous process behind everything that goes on at Eric Kayser. 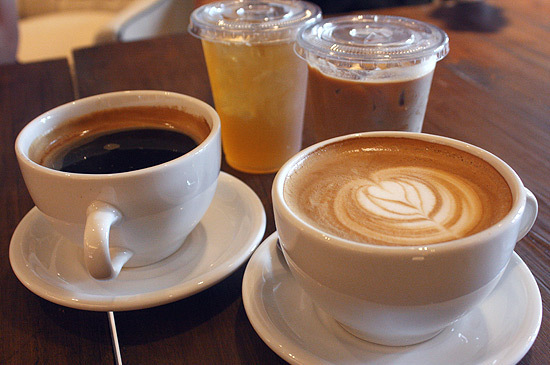 Again, with a cup of that specialty coffee.